BERLIN/HONG KONG (Reuters) - As Europe's fashion giants brace for what could be the toughest leg of their expansion in China, a South African retail tycoon has launched a bold assault on the world’s most populous nation. Christo Wiese is promising to open 500 of his New Look stores in just three years, catapulting the British brand into the same league in China as the world's top fashion chains - Spain's Inditex (ITX.MC) and Sweden's H&M (HMb.ST). China is a big draw for retailers who hope to tap the aspirations of a fast-growing middle class, with mid-range names benefiting as consumers trade down from luxury brands since Beijing's clampdown on corruption and conspicuous spending. But recent history offers plenty of examples of failure. Western brands that have struggled in China include Gap Inc (GPS.N), Abercrombie & Fitch (ANF.N) and Marks and Spencer (MKS.L), which decided last year to close five stores in smaller cities to focus on flagship stores in large cities and online. "Most of the Western fashion labels that are mid-range fail in China. A large part of it is that the styles and the fit are so completely different," said Shaun Rein, founder of market intelligence firm China Market Research. New Look, a chain founded in 1969 and bought last year by Wiese's investment vehicle Brait SE (BATJ.J), does not want to make the same mistake. It now runs 94 stores in China, out of a global total of 852, and hopes to have up to 150 by next March. "I will definitely give it a try if it is a foreign brand and as long as I like it," said Chen Jie, a 32-year-old businessman from Shenzhen who was carrying an H&M bag in a shopping district in Hong Kong. "Price is not an issue but the design and quality must be good." While New Look is cashing in on the popularity in China of British style - it is adding the "London" tag to its logo for its Chinese stores and website - it is also catering for local tastes. 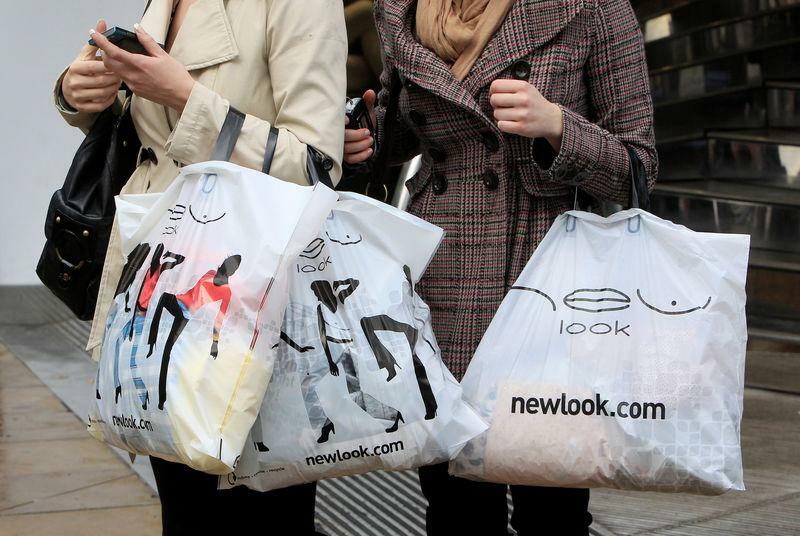 Sven Gaede, managing director of New Look's international business, says the firm has an advantage over many European rivals as 85 percent of what it sells in China is sourced locally and more than a third is designed exclusively for China. That has allowed New Look to tap into the current popularity in Asia of culottes - flared, three-quarter length trousers. Gaede said they account for 12 percent of the firm's sales in China, though they are not popular in its European markets. "South Korea and Japan drive a lot of the trends that the Chinese customer seeks, so our ability to be able to identify those trends, source them locally and get them into our stores quickly is key," said Gaede. That helps explain the success of the Uniqlo chain of Japan's Fast Retailing (9983.T) in China, which already has almost 500 stores in the country and is aiming for 1,000 stores in about five years - more than in Japan. "It's pretty hard for the foreign fast brands to do the localisation that Uniqlo does in China as it was born with the Asian gene," said Violet Shen, a marketing executive in Shanghai. The "fast fashion" model was pioneered by Inditex, which can bring new styles from the catwalk to stores in Europe within days from factories mostly in Spain and North Africa. However, Inditex does not have the same advantage in China. Inditex plans to add 60 stores in the next few years to the 582 it already runs in China, but it serves them from its logistics centres in Spain. "As their proportion of sales increases in the East, it challenges this model. You can't hub out of Spain," said Dominic Jephcott, chief executive of supply chain experts Vendigital. Denmark's Bestseller, which runs brands like Vero Moda and Jack & Jones, says over 90 percent of its products sold in China are also produced in China and most of the designs for the Chinese market are adjusted to local tastes. Anders Kristiansen ran the China business of Bestseller before taking over as New Look chief executive in 2013. Gaede said Kristiansen's experience in Asia is one of the reasons behind the group's aggressive expansion strategy. "We see that fashion becomes more and more global and that China doesn't differ much from the rest of the world regarding trends and fashion," said investor relations head Nils Vinge. "There are of course local differences but that is true for every market. H&M has a business model that can adapt to this," Vinge said, declining to elaborate. "You have to keep your global brand image and you can't be that creatively different in China than other markets. The Chinese travel around the world," he said. "It is good to localise. But it hard to localise an aspiration." "To find 500 stores of real estate and roll that out in the right way ... I think it is virtually impossible," said Franklin Yao, managing partner at strategy consultants Smith Street. But the more established New Look's brand becomes in China, Gaede said, the better the locations and terms it will be offered, adding that the firm was now pushing into smaller cities. "We are less wedded to the number each year and we are more wedded to getting quality locations," he said. Most international brands initially launch on Chinese ecommerce sites like JD.com (JD.O) and Alibaba's (BABA.N) Tmall and Taobao, but are keen to build up their own online operations to protect margins and integrate ecommerce and store services. Partnering with Chinese sites and local payment and delivery service providers is essential to reach consumers across such a vast country, said Vendigital's Jephcott. "It is a hard physical push and a very hard digital push, all premised on a strong relationship with the logistics partner like Taobao," Jephcott said, noting that Taobao has established a delivery network of micro-stores even in small towns.